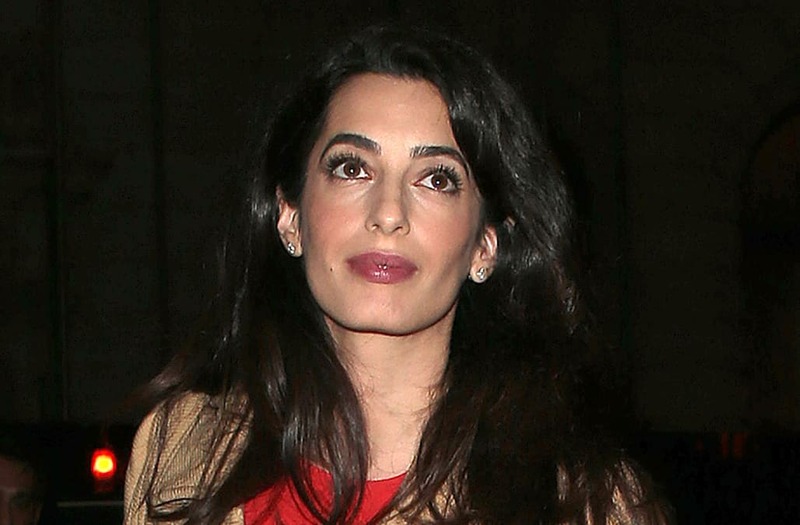 All eyes were on Amal Clooney during her date night with husband George. On Sunday, the new mom stepped out smiling in a stunning green semi-sheer, floor-length gown that she paired with large hoop earrings, a gold statement bracelet and a small clutch. The 39-year-old attorney and her hubby looked more in love than ever as they held hands while leaving Harry's Bar in Lake Como, Italy. The couple have been out and about in Italy this summer, and just last week were spotted holding hands after a tennis match in Laglio. A few days prior to that, they were also seen enjoying a two-hour meal and lake views at the eatery, Il Gatto Nero. Meanwhile, the birth of the couple's twins in June has been all the talk among their family and friends. George's good pal, Rande Gerber, recently gushed to ET about Ella and Alexander, and how fatherhood is treating the 56-year-old actor. "He's so happy right now... Just in life in general and having those kids, you know, it's an incredible feeling for him," Gerber said. "The kids are the perfect mix of George and Amal. I mean, they really are so cute!"